has developed nanomaterials for the alternative energy, life sciences and performance materials markets based on its proprietary manufacturing process. The NanoSafe battery features of fast charge, very long life and safety appear to meet the key requirements for batteries in the electric vehicle and hybrid electric vehicle markets," said Alan J. Gotcher, Ph.D., President and Chief Executive Officer of Altair Nanotechnologies Inc.
POINT ROBERTS, WA and DELTA, BC – November 15, 2006, http://www.renewableenergystocks.com/ and http://www.environmentstocks.com/, leading investor and industry portals for the renewable energy and cleantech sector, announce advanced alternative transportation developers ZAP (OTCBB: ZAAP) and Rotoblock Corporation (OTCBB: ROTB) as new featured companies. With a focus on reducing harmful emissions and increasing efficiency as they continue to develop and refine their technology offerings, both ZAP and Rotoblock offer clean tech alternatives for consumer vehicles. With the recent U.S. election resulting in the Democratic Party winning control of Congress, many expect that issues such as reducing green house gas emissions and strengthening energy independence will become even greater legislative priorities moving forward. With the majority of the oil used in the United States being attributed to the transportation sector, alternative clean transportation technology has become a priority for protecting the environment, lowering energy prices and reducing the nation’s dependence on foreign oil. Despite the recent decline in gasoline prices, fuel costs remain high, which continues to drive the demand for high efficiency and cost effective vehicles. Providing consumers with alternatives is ZAP! (Zero Air Pollution®) (OTCBB: ZAAP), a developer of advanced transportation vehicles such as electric, fuel cell and hybrid cars, in addition to electric bicycles, scooters and seascooters. ZAP is the only company to market and sell their electric vehicles online, enabling them to take advantage of the global market for clean alternatives. According to the Company, ZAP vehicles can reduce CO2 emissions by more than 90 percent compared to internal combustion vehicles, even counting the emissions from fossil-fueled power plants. “We believe electricity is the fuel of the future. With electricity to power our transportation, our world can tap into renewable resources like hydroelectric, solar, wind, or geothermal power, resources that lessen our environmental footprint. Furthermore, studies show that millions of electric vehicles can recharge at night using existing surplus electrical generation, a vast, virtually untapped resource,” describes ZAP Chief Executive Officer, Steven Schneider. Rotoblock Corporation (OTCBB: ROTB), a technology development company specializing in advanced propulsion systems, is focused on the continued development and improvement of its patented energy efficient and environmentally friendly, Oscillating Piston Engine (OPE), which releases significantly reduced emissions into the atmosphere even with regular fuels. In addition, the Rotoblock engine is up to 50% lighter than traditional combustion engines, and is simpler to assemble, maintain and repair, making it a highly adaptable design for a wide variety of uses and sizes. The Company’s strategy is to continue to develop this proprietary technology to pursue licensing opportunities with particular focus on satisfying market needs within India and China where infrastructures are not yet fully developed, and the ease of maintenance and repair of the Oscillating Piston Engine will be a key advantage. This past summer, Rotoblock signed a development and license agreement with Brazilian automotive company OBVIO! Automotoveiculos S.A., for the development and incorporation of a more compact OPE for use with various OBVIO! models. The terms of the agreement provides Rotoblock with $5,000,000 million paid through a royalty structure on units sold. OBVIO! is aiming to incorporate the Rotoblock engine into an ethanol hybrid drive train. ZAP! is the exclusive North American distributor of OBVIO! alternative vehicles, which will be coming to market in 2008, complimenting the Company’s existing portfolio of electric and hybrid transportation technology. 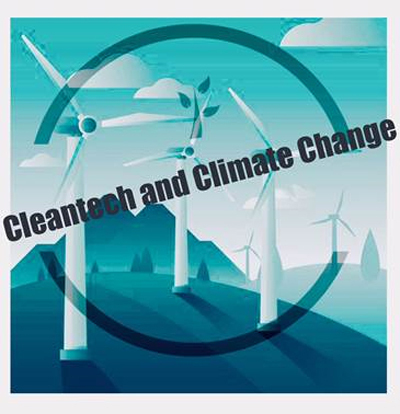 ZAP (OTCBB: ZAAP) and Rotoblock Corporation (OTCBB: ROTB) are featured companies on http://www.renewableenergystocks.com/, and http://www.environmentstocks.com/, investor and industry portals within the InvestorIdeas.com™ content umbrella. InvestorIdeas.com™does not make recommendations, but offers investors research, news, blogs, RSS Feeds, online conferences, interviews and links to public companies within the renewable energy and cleantech sector. The Green technology investor portals also provide content through the Clean Energy News Blog, Renewable Energy Blog and articles by solar expert, J. Peter Lynch, all available on RenewableEnergyStocks.com™. ZAP and Rotoblock compensate InvestorIdeas.com; see disclaimer below. Green cars info brought to you by Yahoo! check out the Top Cars By Green Ratings- The Green Rating is a 1-100 score indicating a vehicle's environmental friendliness. Following on the heels of Richard Branson's pledge of $3 billion to address global warming and invest in renewable and clean technology , former President Clinton announced the launch of a Green Fund with a $1 billion dedicated to the same cause. In a major step towards the world in general acknowledging there is in fact a global warming problme and its not a hoax- adventurous British billionaire Richard Branson, founder of the Virgin group has stated he will donate $3 billion US over 10 years to address global warming . Now that's putting your money behind your convictions! He has pledged the profits from his transportation and airline businesses, to be invested in renewable and sustainable energy sources to address the world's addiction to oil and coal. BMW comes to the rescue of want to be green car drivers and announces it will join GM and Honda and introduce a hydrogen car in 2007 in the 7 series, with a comparable price they say to existing line.